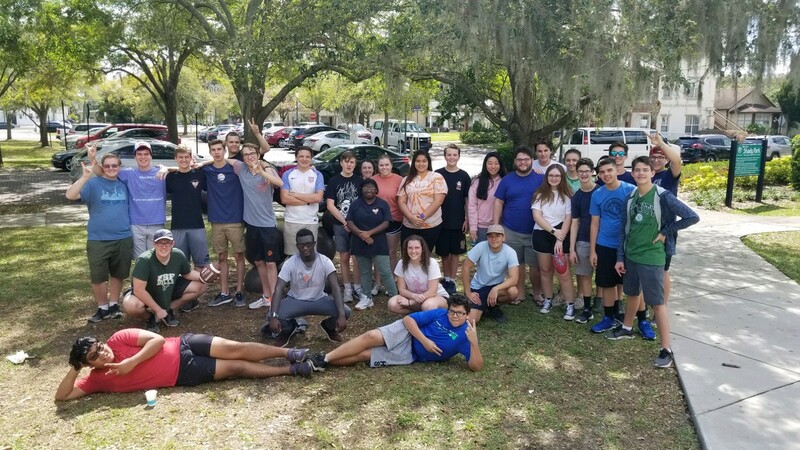 A big thank you to the Band Council for putting on a successful Band Picnic this past Saturday at Shady Park in Winter Park! Also a big thank you to Sharon Flood, Lee McBurney, and all the parents who came out and had a great time as well! DRUM MAJOR CANDIDATES - All materials and references for the Drum Major audition at dur by 2:30 PM Monday, March 11. The first rehearsal for All-County Jazz is this Tuesday, March 12 at West Orange HS. Rehearsal begins at 7:00 PM, so please plan on being physically at West Orange no later than 6:30 PM. You have two chances to see the Winter Guard perform at Freedom HS this weekend. We'd love to have a cheering section from Winter Park! See details on times below. All-County Jazz rehearsals will take place at West Orange HS. Auditions for the 2019/2020 Wind Symphony will be taking place after school April 8 - 12. Look HERE for audition requirements and etudes. Auditions for the 2019/2020 Jazz Ensemble I will be taking place after school April 15 - 17. Audition requirements and etudes will be posted this week. The LA Tour March payment was due yesterday, MARCH 10.